The labour market is maybe the most important arena where French President Emmanuel Macron will assess its rate of approval after one and a half year of presidency. After he swept aside traditional parties in France, winning elections in May 2017, is now shaken by a Movement with no real leadership, organized through social media. The “gilets jaunes” (yellow vests) citizens’ movement, named after the protesters’ high-visibility yellow vests, appears to be taking Macron by surprise. This movement, which started as a big protest against rising fuel taxes, has grown into a wider working class protest over inequality, that accuse Macron to be a “president of the rich”. The protest has turned into a wider demonstration against Macron’s government in recent weeks, spreading as far as to the French territory of Réunion. The demonstrations included protesters lighting fires and police using tear gas and water cannons to disperse them: around 130 people were arrested on Saturday 24th of November in protests across France, with 42 detained only in Paris. The weekend before a protester was accidentally run over and killed by a car, and more than 200 people were injured during a demonstration in eastern France. During a news conference, the French interior minister Christophe Castaner explicitly accused far-right extremists to be infiltrated in the demonstrations. Probably violent protests will calm down in the next few days but social and employment reform will remain an “hot issue” in France, especially in 2019 when Macron aims to overhaul the country’s retirement system. On the other hand, although the gilets jaunes protests show the greater opposition he’s likely to face even in the next months, it has to be highlighted that Macron has succeeded in approving unpopular reforms. 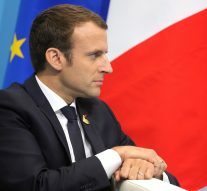 Macron’s government has announced in the past months a “major and ambitious” transformation of France’s complex labour laws aimed at tackling mass unemployment and making the country more competitive in the global market. The prime minister, Edouard Philippe, described the reforms as “ambitious, balanced and fair” and said they were aimed at dealing with “mass unemployment and repairing the country”. He said they gave France a chance to catch up on many “lost years”. Five decrees have been issued in the past months, envisaging “concrete and major measures” to overhaul and simplify the Code du Travail, which actually covers every aspect of the working life in France. Unions in the country gave a mixed response to the changes, which will make easier for firms to hire and fire. Employment minister, Muriel Pènicaud, outlined that the priority of this reform has been to ease constraints on small and medium-sized companies, which employ half of the French workforce, by granting them more flexibility to hire and fire. Thus we can highlight that Macron’s view of a “new welfare state” amounts to a transformation from a model of redistribution towards a “flexible” system based on drastic change from a rigid labour code to a society of citizens moving between different jobs. And Macron has promised changes to unemployment benefits, pensions and the health system. He also defended his support for business, saying that without strong business there would be no possibility to create jobs and to eradicate poverty. “It’s false to think we can protect workers without defending our companies,” asserted Macron, who on the other hand is also aware that there is still a fracture between those at the bottom of society and those at the top. And maybe this is one of the big challenges he will face during next year. Despite the ambitious reforms, according to Pôle Emploi, the French unemployment agency, there has been an increase of 8%, in the number of people out of work for between one and two years. France’s overall unemployment rate in the second quarter of 2018 was at 9,1%, still above the 7% Macron has promised to achieve by 2022. New laws obviously take times to be fully implemented and to bring benefits, but it seems that French President will face crucial challenges when dealing with social protection and retirement system reform in the next few months.